No Slip, Just Grip has proven, cost effective solutions to improve the safety of nearly ANY commercial surface. 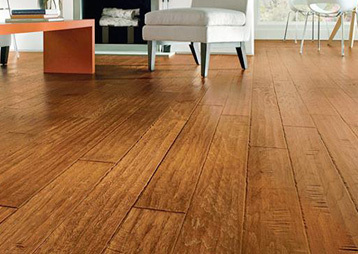 Our specialized floor treatment process will increase the Coefficient of Friction (COF) on YOUR floors, so they meet ADA and OSHA standards, keeping guests safe, while protecting the natural beauty of your floors. Below are some of the more common types of surfaces we treat. No Slip, Just Grip’s anti-slip treatments will dramatically increase traction and improve safety on wet and dry tile or stone floors. •	Falls are the leading reason for pediatric ER visits. •	One-third of emergency room visits for children ages 14 and under could have been prevented by the use of safety treatments. 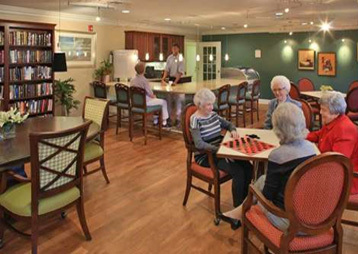 •	Falls are the leading cause of death among people 65 and older. 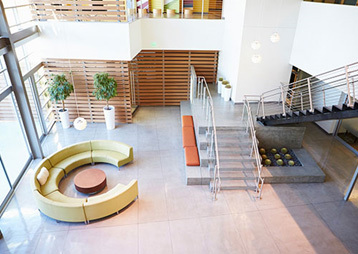 No Slip, Just Grip’s specialized floor treatment process will increase the Coefficient of Friction (COF) on YOUR floors, so they meet ADA and OSHA standards, and keep guests safe, while protecting the natural beauty of your floors. 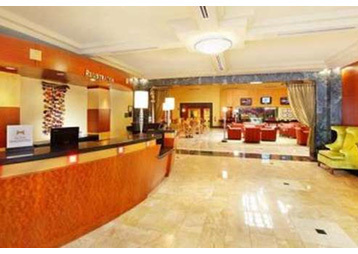 There’s a reason why America’s most trusted hotel brands use the Slip Doctors floor treatment process to protect their floors and guests: Rain, snow, or even a coffee spill, can turn a beautiful lobby into a significant hazard. Most organizations resort to floor mats. Sometimes they help, but floor mats can’t remove all of the moisture from shoes, and they can’t be everywhere. 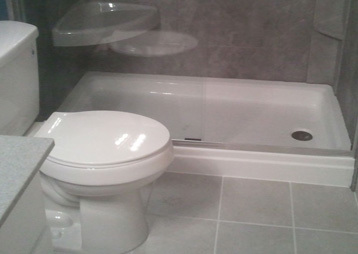 Bathrooms can be the most dangerous room in your building. Over the last several years, we have seen rapid growth in the number of tile floors, showers, and ceramic tubs in new or remodeled hotels. While beautiful in appearance, these surfaces become very slippery, and even dangerous when wet – especially for older quests and small children. We have a similar product that can be applied to your tile floors,that will increase the Coefficient of Friction (COF) to safe levels for users, making it anti slip with no change to the appearance of your floor. And the entire process takes less than 1 hour. Steam, water, grease, and food can combine to create a dangerous kitchen or dining room environment. 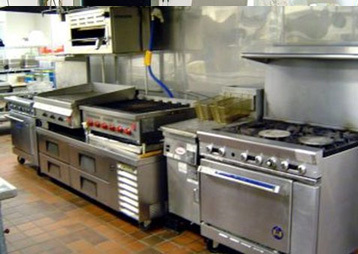 Restaurant kitchens and dining areas are a hotspot for slick, unsafe floors. 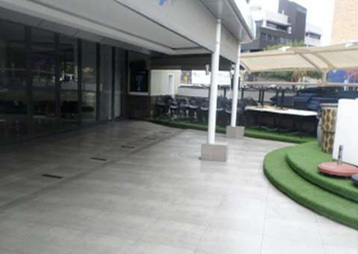 Outdoor areas can become slippery when wet. Our non-slip floor coatings are perfect for entrances, outdoor steps, walkways, paths, parking lots, elevated walkways and many more outdoor environments. 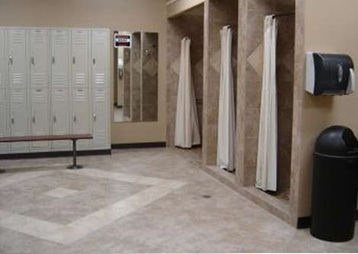 Turn common wet areas into a mat free, worry free non-slip surface! No Slip, Just Grip will guide you through the process of selecting and installing the best slip protection available. 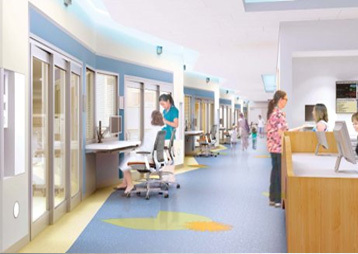 Due to the high cleaning standards of US medical facilities, it is not uncommon for floors to be wet in multiple areas on the hospital floors. 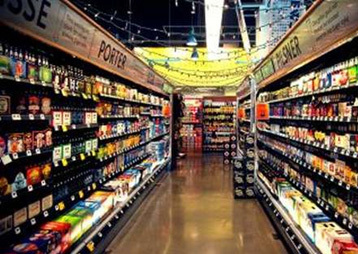 Mitigate the inevitable spills that create slip/fall hazards at the grocery store. Give your tenants and guests a safe place to walk on. According to the CDC, more than 15,000 people over the age of 65 died as a result of a fall, each year. And that’s an increase from 7,700 a year, just a decade earlier. 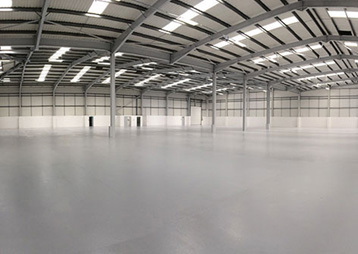 Our most aggressive coatings can be used inside or outside to make any floor anti-slip. Ideal for concrete, metal, or wood surface where maximum traction is needed.